Fun adventure dog collar! 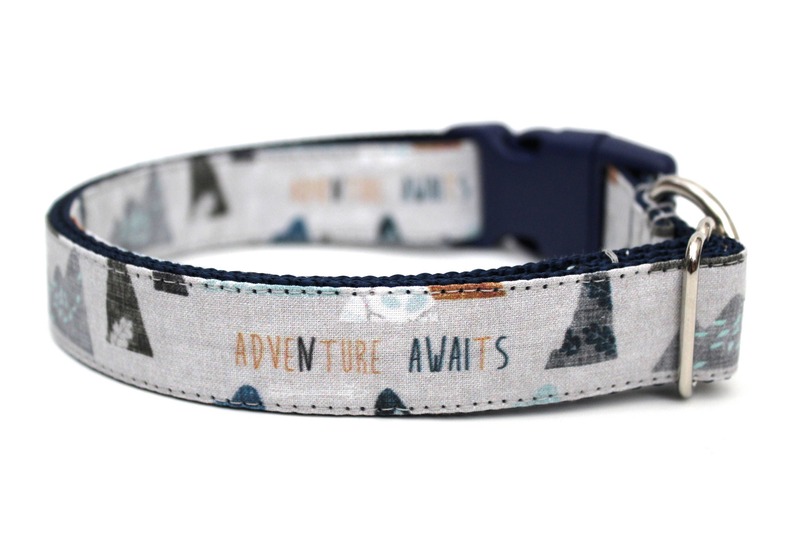 This 1" wide boy dog collar is made with navy blue nylon webbing, matching side release buckle, and has a light grey design with mountains and "adventure awaits" all over! Perfect for your adventurous pup! All matching accessories, such as flowers and bows, are not included but are available in my shop! *A special thank you to Kaito for the photo!